Fill out the following form in order to be notified when this product is restocked. Create an elegant home office with the minimalist look of this Espresso Finish Computer Desk. 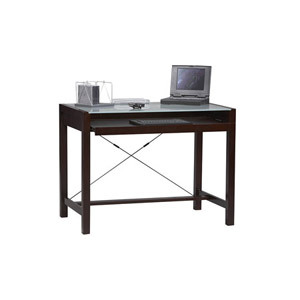 Crossed wire leg braces and frosted tempered glass work surface give this desk a sleek look. A full extension keyboard tray pulls out for convenience ideal choice for the home office with computers. Solid birch legs complete the sophisticated look of this desk. This desk is ideal for use with notebooks or PCs. Most Products Leave our warehouse within one to two Business Days. We offer Discounts for Large Quantity Orders. We are fully Insured, Licensed and Bonded. (Most Other Companies Are Not). In business for over 20 years. If you would like a Fast Checkout, with this product only, please click on one of the Buy Now Buttons below. But, if you would like to keep shopping please use the Add To Cart Button at the bottom of this page. 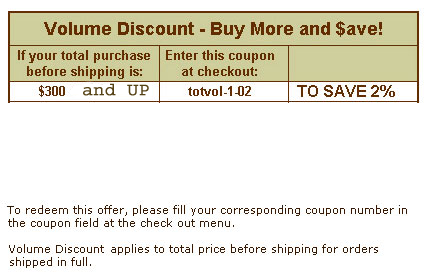 If you choose to pay by Electronic Check you will get a 2% discount at checkout. Skin Design © 2003 BrightFire New Media Designs All rights reserved.